A frustrating medical condition that millions of people suffer from in this country is known as carpal tunnel syndrome. This painful condition can cause many to struggle with normal activities that require the use of their hands. In some cases, their hands and fingers may not function properly. The experts at Summa Pain Care offer following information to help you learn more about what causes this syndrome and who is most at risk for developing it. Those who are suffering from carpal tunnel syndrome often experience tingling, pain, weakness, numbness, and other symptoms in their hands and wrists. This is a result of pressure that is placed on the median nerve in the wrist. 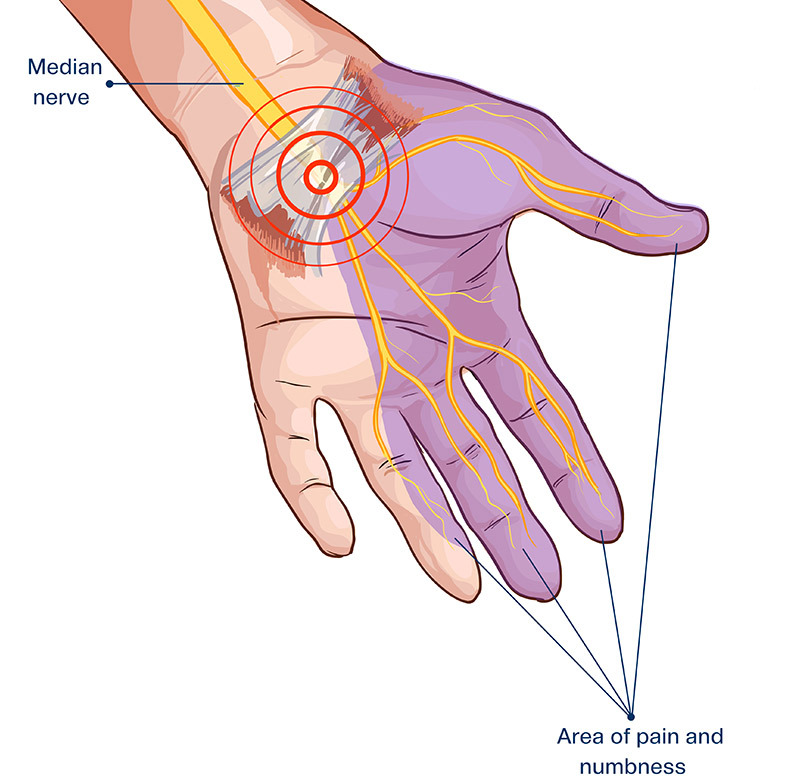 The median nerve has several different tendons, including a carpal tunnel that leads from the wrist to the hand. When pressure is placed on this area of the nerve, the thumb and first three fingers of the hand cannot function properly. Individuals who think that they have this condition should work with a qualified pain management specialist. With proper help, they may be able to get much-needed relief from the pain they are experiencing and regain full use of their hands. Summa Pain Care is a pain management clinic that offers a variety of treatment options for carpal tunnel syndrome. To learn more about the courses of treatment that may be available to you, call 623.776.8686 today.